Travel is one of the richest experiences life can give a person. It broadens your horizons in more ways than one! The people you meet, the place you see, the cultures you experience. These are things that can help you grow as a person and leave you with rich and important memories to take with you throughout your life! Plus, it’s just so fun! Every year we round up some of the best experiences and locations for our community and Winter/Spring 2019 is no exception! 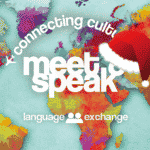 Meet new people, try new things and truly experience Spain, Europe & Africa with us! Last but not least, all City Card holders can enjoy special discounted offers on all of our excursions (3€-10€ depending on the trip)! Show your City Card when buying your tickets or login in to your City Card account on the Citylife web before booking and save money! Take a look at our upcoming trips now and keep up by joining our facebook group as well as our latest “Never Stop Exploring” WhatsApp forum! Day trips are perfect for a quick escape from the busy city! Madrid is so conveniently located right in the centre of the country that many of the most famous cities are only a few hours away, waiting to be visited. 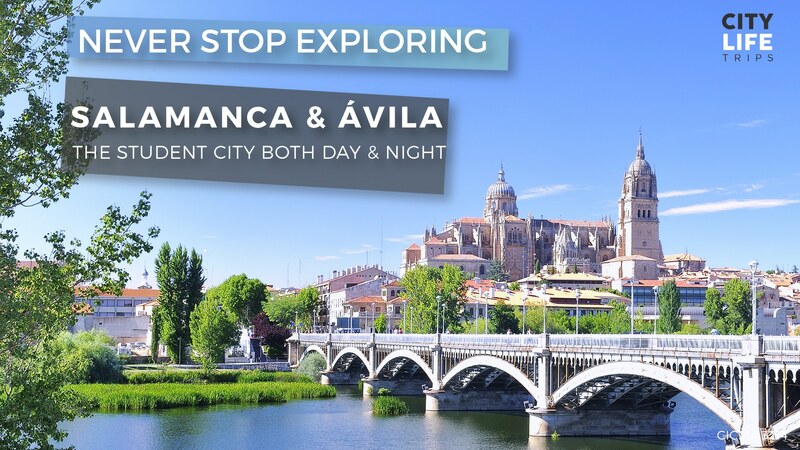 Our day trips depart from Madrid in the early morning so that you will have time to explore the cities at an enjoyable pace and be home no later than 21:00 (depending on traffic, of course). 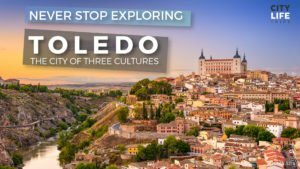 Toledo – Spain’s former capital is probably the most popular destination for people living in Madrid. It’s close, it’s beautiful and as I said, it’s Spain’s former capital! With a cathedral, museums, art galleries and countless sites, everyone has to see Toledo at least once! 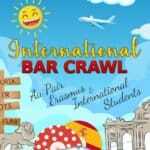 We will visit the city of three cultures on the 12th of January, the 9th of February and the 23rd of March! Segovia & El Escorial – Segovia, a breathtaking city, has a famous cathedral castle and an ancient Roman aqueduct! El Escorial is a small town, home to one of the most impressive monasteries and libraries in Europe! among the vast Spanish countryside where you can spend a peaceful afternoon strolling through the past along it´s tiny streets! We will visit Segovia and El Escorial on the 26th of January, the 16th of February and the 6th of April! 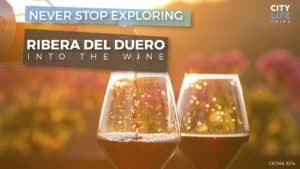 Into the Wine: Ribera & Burgos – Spain is home to some of the best wine regions in Europe and many of those regions are located just outside of Madrid! Portia is a very modern, state of the art bodega and Burgos is a famous, medieval city that just breathes tradition! We will visit this vineyard twice, so book your tickets soon to guarantee a spot! We will be visiting the Portia bodegas on the 23rd of February and the 27th of April! 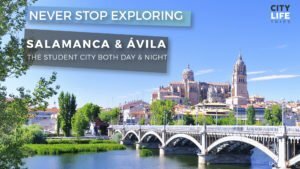 Aranjuez & Chinchón – This is truly special trip! 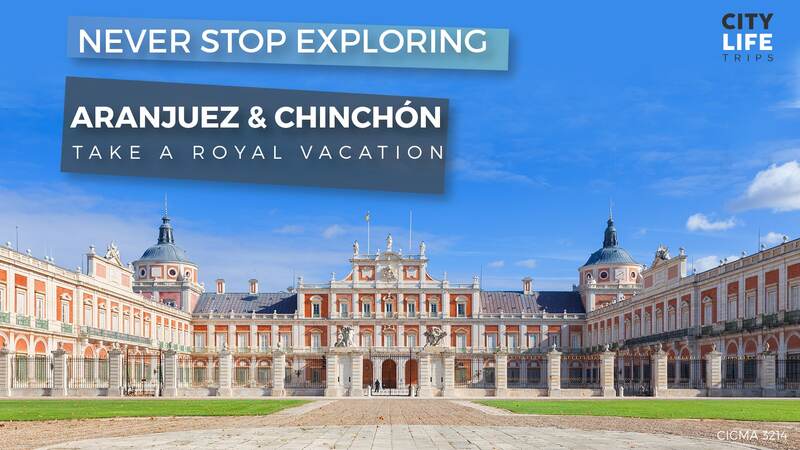 We will visit the gorgeous holiday estate of the Spanish royal family in Aranjuez, and then journey through the valleys and mountains of the Spanish country to arrive in the little town of Chinchón! 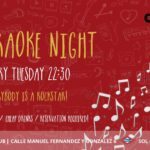 We will visit Aranjuez and Chinchón on the 30th of March! 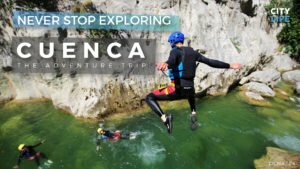 Cuenca Adventure Trip – Take an adventure through one of Spain’s most beautiful regions. The medieval city of Cuenca is located atop a mountain in the middle of a beautiful canyon and surrounded by rivers and forest. Spend the day exploring the town and participating in some adventure sport when we go canyoning in the Júcar River! We will go on this adventure on the 19th of May and the 16th of June! When you are living somewhere for a limited time, you’ve got to make the most of your weekends! 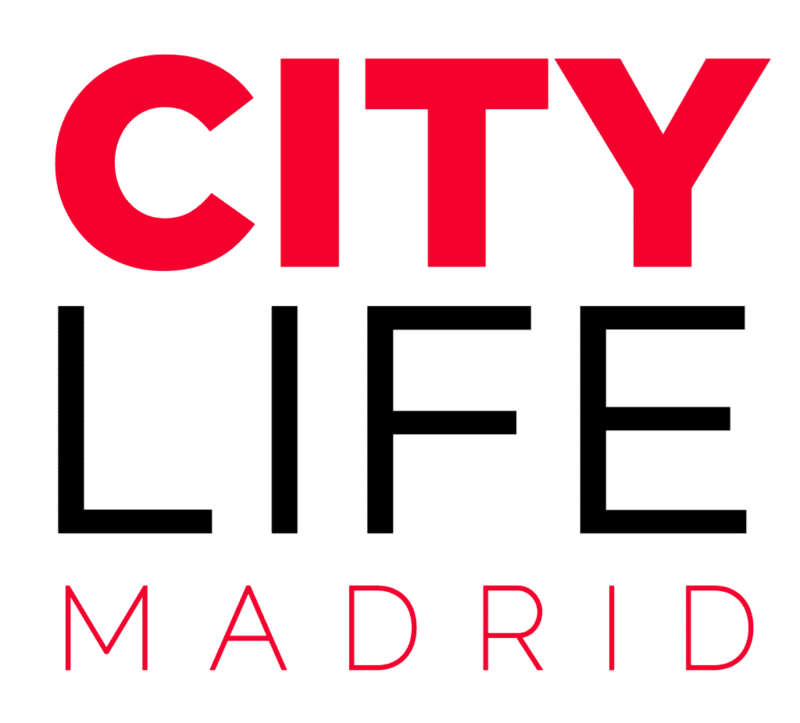 We love Madrid, and even though you can always find something to do here you can’t forget about all the other amazing locations there are to explore! Our weekend trips focus mostly on the Northern and Southern regions of Spain with a few extra trips that go international! The majority of these trips will only take place on Saturday’s and Sunday’s while some require departure times on Friday nights or even Thursdays! Be sure to click the links below for full details! Salamanca & Ávila – The medieval city of Salamanca is one of Spain’s culture hubs. The city looks like a postcard, with gorgeous gardens and cobbled streets. Ávila is a small town that sits within an ancient stone wall and is famous for it’s romanesque buildings! You’ll have a chance to visit Salamanca and Ávila with us from 19th-20th of Janurary and the 2nd-3rd of February! Tangier & The Blue City – We like to call this trip “Welcome to Africa” because it’s a perfect first trip to Morocco! Visit the famous city of Tangier and the picturesque town of Chaouen and get lost in it’s blue walls and camel riding along the coast! We will be heading on this trip from the 24th-27th of January, the 7th-10th of February and the 14th-17th of March! 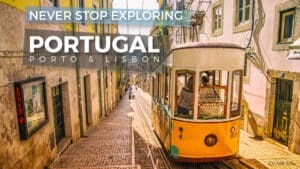 Portugal: Lisbon & Porto – On this wonderful trip we will take you through a walking tour, fado dinner show and pubcrawl in Lisbon. 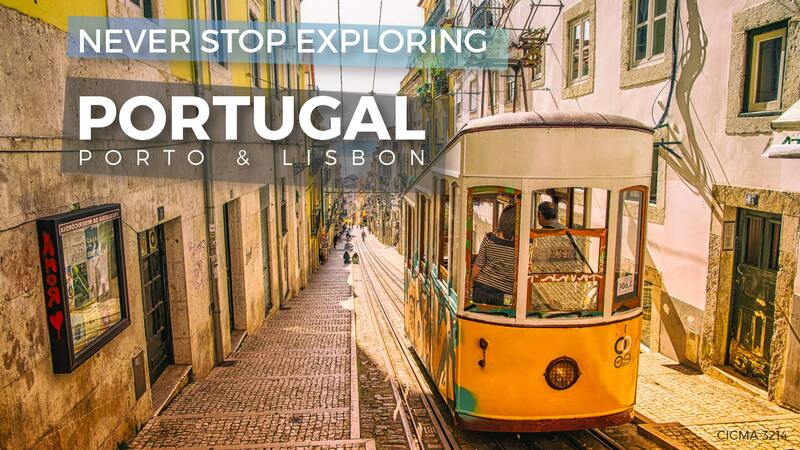 But with this trip we will also be heading beautiful Porto! There we will visit the famous bodega’s to taste some port wines, take a walking tour and do another pubcrawl! We will visit Portugal from the 1st-3rd of February, the 22nd-24th of March and the 1st-5th of May! Andalucía – It might not be in the centre of the country, but Andalucía is undoubtedly the heart of Spain! This trip will take you to the capitals of Al-Andalus: Córdoba, Sevilla and Granada! On this excursion, you will have guided tours of each city and plenty of free time to visit your desired sites! You only have two chances to visit this exact trip from the 15th-17th of February and the 29th-31 of March! País Vasco – País Vasco is located in the North of Spain, and is known for breathtaking landscapes, gorgeous beaches, clear waters and delicious food! This is an exciting trip because this region is so different from both the south and the centre of Spain! We will visit the northern region from the 22nd-24th of February and the 5th-7th of April! Valencia Beach Weekend – This is one of our favourite locations! Mostly because it’s one of our most relaxing trips offered. Valencia is famous for it’s massive beaches, good weather, warm water and wonderful seafood! This is where Paella came from, so you know it’s good! We’ve got two weekends for Valencia – from the 25th-26th of May and the 22nd-23rd of June! Ibiza Opening Parties – This is the season when Ibiza wakes up from it’s long winter slumber! The dust is shaken off, the clubs are opened and the stages are set up! Opening season is a great way to experience Ibiza before the mass flood of summer festival goers arrive. This weekend is full of sun, good music and lots of drinks! We will be heading over to the island from the 30th of May to the 2nd of June! 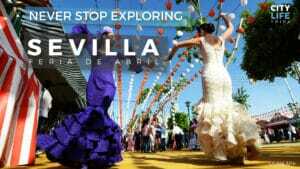 Every season in Spain welcomes a number of Festivals that are meant to be enjoyed to the fullest! This semester is no exception to that rule. When you come to Spain, you’ve got to party, even if it’s just a little bit. That’s why we have created these fun and easy trips to some of Spain’s most popular festivals during the winter and spring seasons! Some of these trips are basic and simply transportation to the festival with overnight transport home. While others last a few days and nights and will include accommodation as well as transportation! 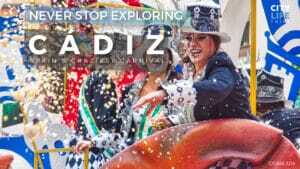 Cadiz Carnival – Carnival is the most famous festival in the world. From The United States, to South America and Spain the festival has been celebrated for years and years! 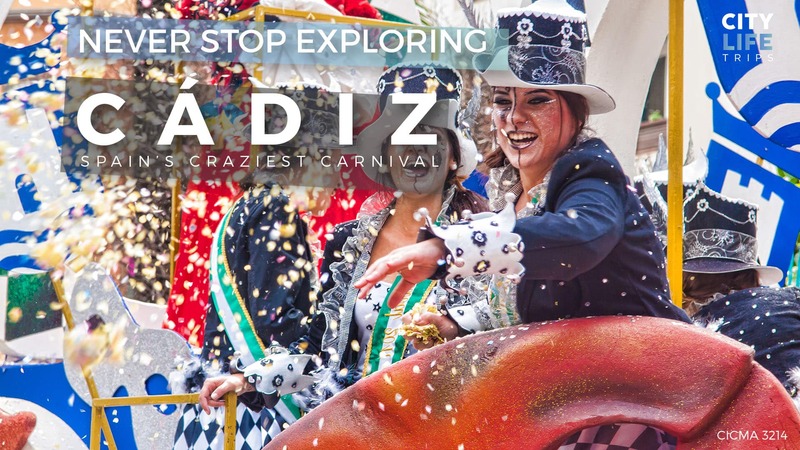 Though the type of celebrations vary from region to region, the Carnival in Cadiz is surely considered top notch! We will head to Carnival from the 1st-3rd of March and the 8th-10th of March! 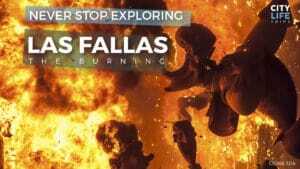 Las Fallas – Las Fallas is an age old tradition in Valencia! 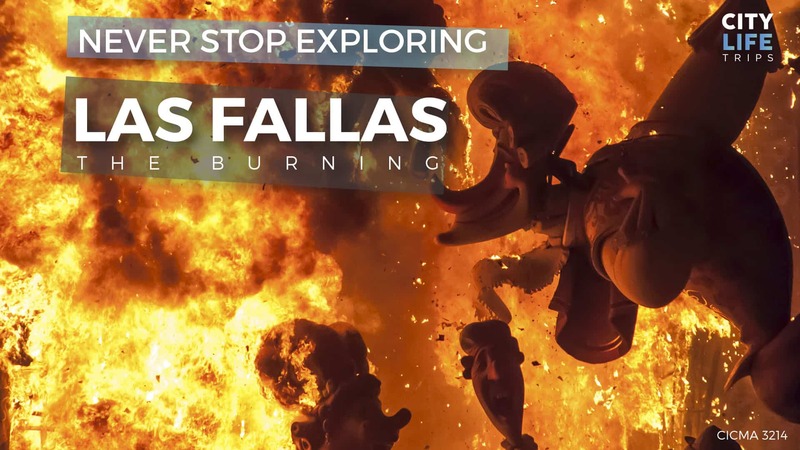 Though Fallas is a week long celebration we will be visiting twice, once for the opening weekend and second for the most important night – The Burning. When hundreds of massive parade floats go up in flames and people from all over Spain party in the streets! We leave for the Mascleta from the 16th-17th of March and for La Crema from the 19th-20th of March! 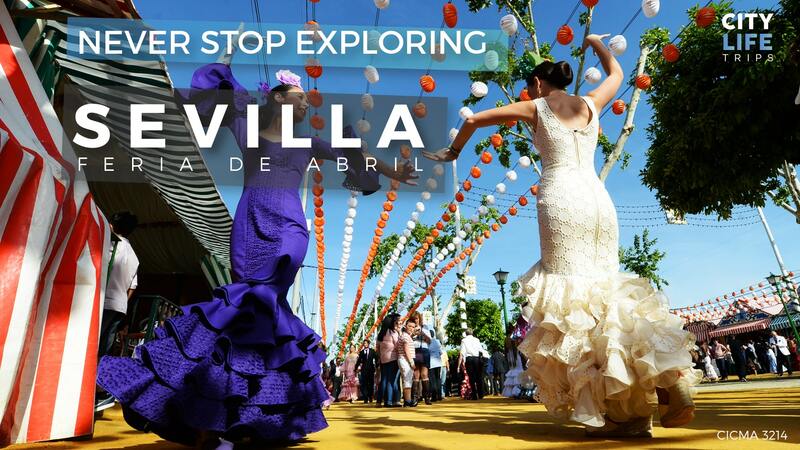 La Feria de Abril in Sevilla – The coming of spring is surely something to celebrate. At least, thats what Sevillanos think! The Feria de Abril is a huge festival in the south of Spain where the locals and visitors alike gather to celebrate April, the temperate weather and the warm southern culture! We will be heading to the festival from the 11th-12th of May! 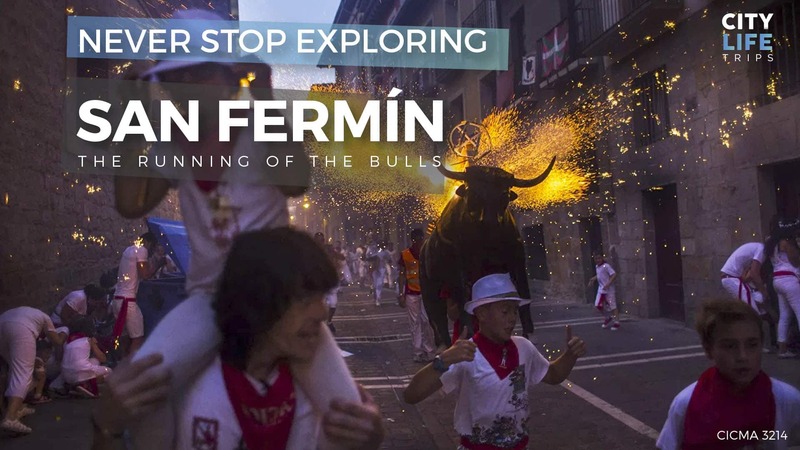 San Fermín – The Running of the Bulls in Pamplona – What’s the first thing that comes to mind when it comes to Spanish festivals? 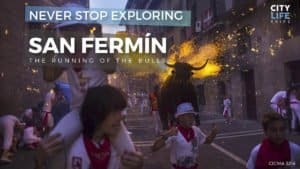 Pamplona and the Running of the Bulls of course! 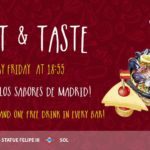 If you’re in Spain during the time of this famous festival you simply must join us! We wil be running from the 13th-14th of July! We like to go above and beyond when planning our excursions each semester. That’s why we’ve worked out three very unique trips for certain long weekends and holiday breaks! 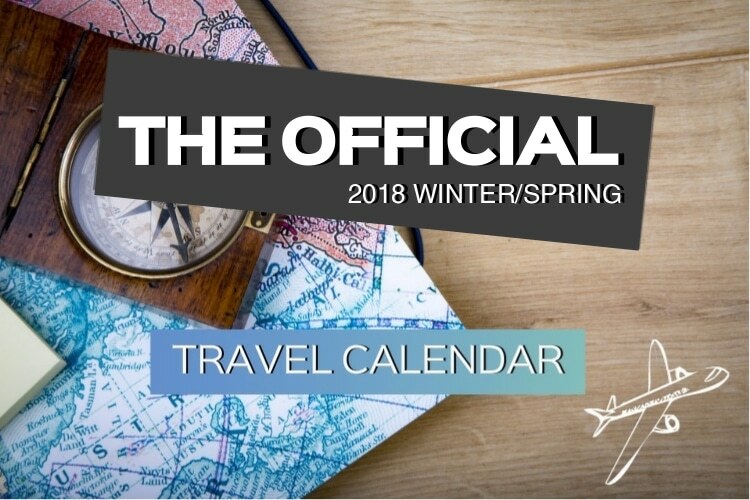 These trips are perfect for those who enjoy to travel without the hassle of planning an entire week long excursion on your own because we’ve got it all planned for you! Check out our special trips below to start your holiday planning! Morocco The African Adventure – We call it The African Adventure because during this week long trip we will explore much more than ever before! We will visit more than 5 cities and even spend some time crossing the Sahara on camels and even spending the night in the desert! We will go on this adventure from the 11th-19th of April, the 12th-20th of April, the 13th-21st of April and the 14th-22nd of April! Morocco: Imperial & Blue Cities – This extended trip to Morocco is the perfect mix of our North Morocco and African Adventure trips! We will visit several major Imperial cities in Morocco, including Rabat, Fes, Casablanca and more! 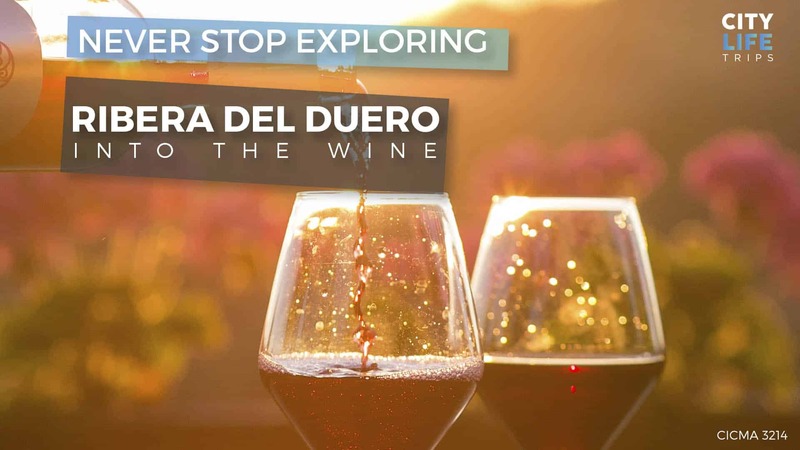 Join us on this adventure from the 30th of April – 6th of May! Also check out our complete “Activities & Events Calendar” for spring 2019 here! During my research for the article Best summer vacation destinations for travel in 2019 We came across your website and find that really helpful for my article as well as the reader we are targeting. In order to provide the best available information over the internet,.